A tiny speck of land with a mystical pull, Easter Island is one of the most isolated places on earth! A fascinating journey in the South Pacific, it is the ultimate magnetic & mysterious destination. 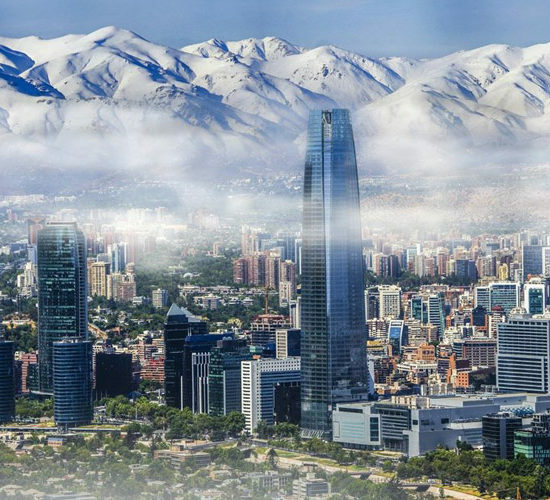 Visit Santiago top sights: Plaza de Armas & the Cathedral, Barrio Bellavista & Lastarria, el mercado central, Cerro San Cristobal with its scenic city view and overlooking the Andes. 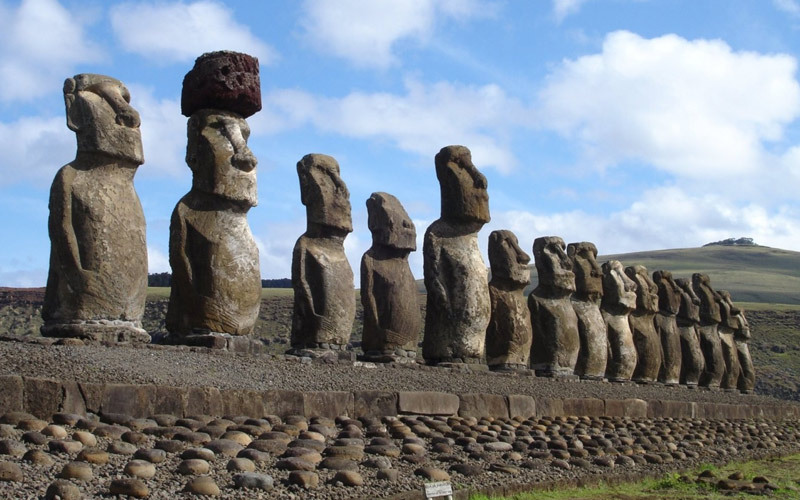 Transfer to Santiago airport and flight to Easter Island. Meet & Greet at the airport & hotel transfer. The drive towards the Southern coast of the Island leads to Hanga Te'e Bay & Ahu Vaihu burial platforms where revered leaders of the island and the legendary Hotu Matu'a remains are placed. The visit continues to Akahanga, the "king's platform". 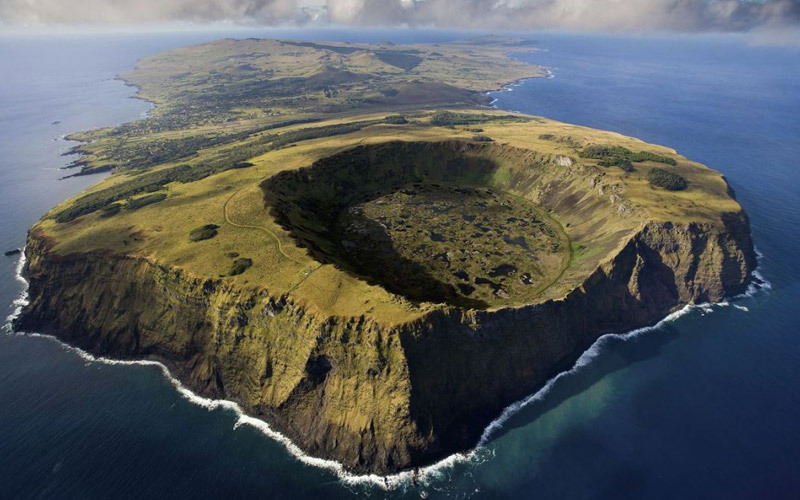 Don't miss Rano Raraku, the most majestic ceremonial platform on the island with its volcanic crater located on the lower slopes and where the rock-carved 900 Moai iconic statues stand erected. Resume your visit with Ahu Tongariki, the largest Ahu on Easter Island, with its 15 Moai statues restored in 1995. Finish your tour with the visit of Ahu Te Pito Kura also name as "the navel of the world" for its famous magnetic stones. Transfer to hotel. Spend the rest of the day at your leisure. 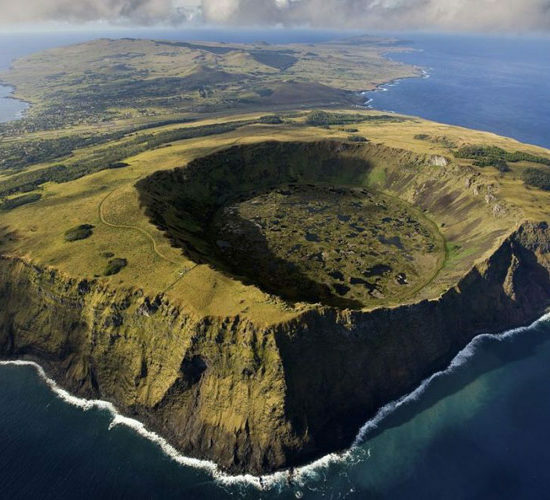 Direction Rano Kau, located on the southwestern part of Easter island and the largest volcanic crater. It is the most amazing natural wonder in the tour. Drive along the scenic road overlooking the crater freshwater lake and reach Orongo ceremonial village boasting one of the South Pacific's most dramatic landscapes. The tour continues with the visit of Ahu Vinapu, the archaeological site exhibiting extraordinary stonemasonry, quintessential ruins of the Inca influence on Eater Islands. The last visit of the day is one of the most attractive and visited caves, Ana Kai Tangata. Its spectacular location on the seafront, the cave paintings and the legends that surround it, situated 350 m above tide line. This attraction is an old sanctuary. Its archaeological interest is combined with its three “Ahu”, one on the north with the unique white coral eyes, another on the south and the last one in the center. In Tahai you can find archaeological marine vestiges. Continue the tour with the visit of the renovated Ahu Akivi, located inland. 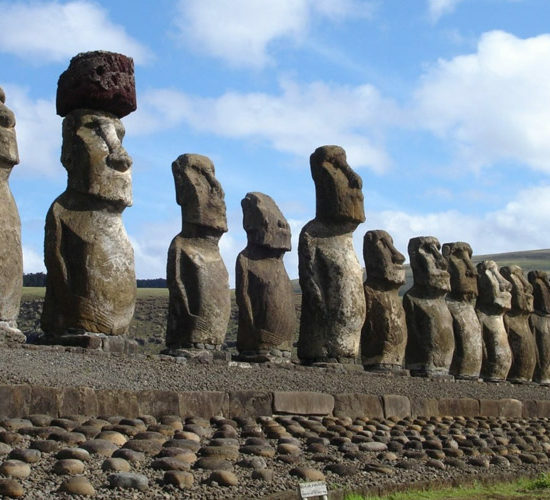 The site has seven identical Moai statues, a celestial observatory erected with astronomically precise feature. 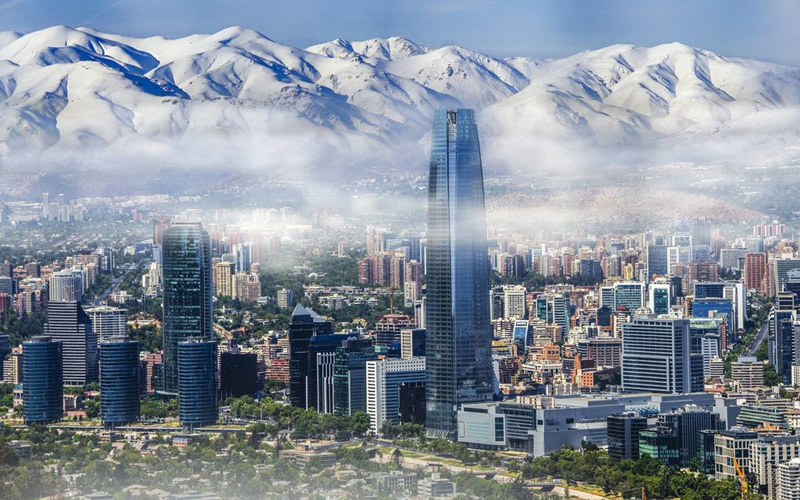 Transfer to Santiago airport for departure. Starting 6200 USD per person basic double room. The best time to visit the Easter island is from December to March.